President Trump looked ahead to re-election in 2020 during NRA forum remarks on Friday, pondering who his Democratic opponent might be. As is custom for the president, Trump began his remarks at the annual National Rifle Association leadership forum by retelling his Election Day victory tale. "Wasn't that a great evening? Do you remember that evening?," said Trump as he reflected on his 2016 election win against Democratic opponent Hillary Clinton back in November. The commander in chief then focused his rhetoric on a future re-election bid come 2020 -- warning his conservative base that the Democratic candidate he runs against might be Sen. Elizabeth Warren of Massachusetts. "It may be Pocahontas," Trump said. "And she is not big for the NRA." Trump has previously named the Massachusetts senator using the term "Pocahontas," referring to Warren's history of citing "family stories" in her once claim to Cherokee Nation heritage. After exhaustive research delved into Warren's background, the senator was found to be 1/32 Cherokee, which would be "sufficient for tribal citizenship" according to the New York Times. Warren -- who has served as a U.S. senator representing the Bay State on Capitol Hill since 2013 -- has been a vocal critic of President Trump, once referring to him as a "small, insecure money-grubber." 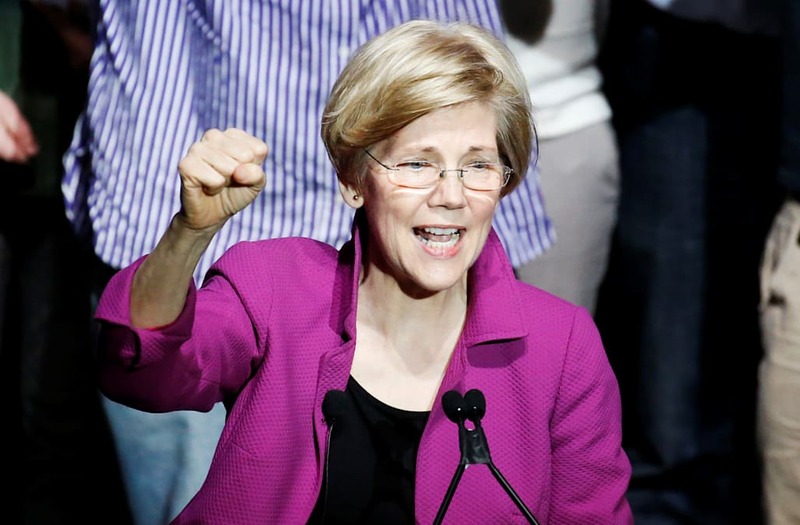 The Subcommittee on Economic Policy ranking member was considered as Hillary Clinton's pick for vice president during the 2016 election, and speculation around Warren's own future presidential bid has since flourished.